HG grout colour is a unique product for colouring or recolouring joints between glazed wall tiles. Ensure that the grout is thoroughly clean. Remove lime scale from the tiles with HG professional limescale remover (hagesan blue). Rinse the joints and wall tiles thoroughly and allow to dry well. 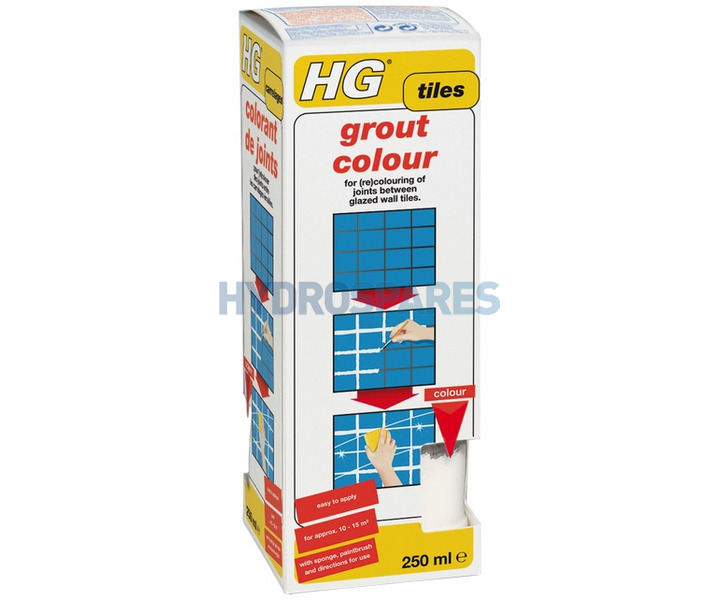 Apply HG grout colour with the brush provided. Wait for at least 1 hour but no more than 2 for the surface to dry. Dampen the tiles with water and wait 5 minutes for this to work. Then wipe the wall with the sponge provided. You always get an excellent result with HG!